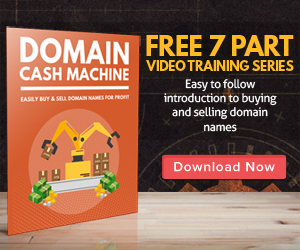 You are here: Home / Make Money Online / There’s Dollars In Those Dead Domain Names! Every day web site owners let their domain names expire by accident. A savvy and aggressive domain name investor can then scoop the domain name up and capture a great deal of existing web site traffic for a brand new site. Many a web site owner has been on the short end of this stick, and many a savvy investor made that much richer. Web sites live and die by the number of daily visitors they receive. But when a site with a memorable domain name and good traffic becomes available through the fault of its owner, a fortune can be made. Let’s say a site was selling bridal gowns and tuxedos. Perhaps the web site owner didn’t make a lot of money because their site was not friendly, was poorly designed or simply priced their products too high. Then one day their domain name expires. Using a domain watchdog service, a smart domain investor can instantly receive notification of the bridal site’s domain becoming available, and instantly grab it for a low renewal cost of $6.95. Within minutes, the domain investor has captured a good domain name with good traffic. By building a simple web page with related ad links, the site can begin to better monetize the existing web site traffic and generate more consistent cash flow for its new owner. Over time the domain name investor may either focus on building and further monetizing that web site traffic or simply “flip” or resell the domain name to another domain name investor, broker or site owner. For the more serious minded domain name investor, a number of both free and paid domain name valuation online tools and services exist to help you make a more informed decision. While valuation prices tend to vary greatly, depending upon whether they are automated or manually generated by a person, it’s not unusual for a domain to sell for much more than the owner originally expected.